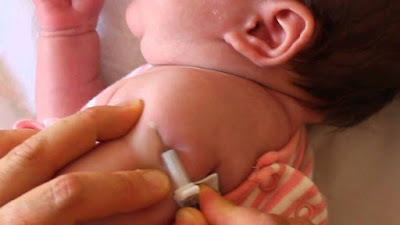 What is BCG vaccination for newborn? BCG (Bacille Calmette-Guérin) is a vaccine given to babies to protect them from serious forms of Tuberculosis (TB) such as TB Meningitis (an infection of the brain) and Miliary TB (wide spread infection). Who should receive a BCG vaccine? ... Side effects of the BCG Vaccine. The standard dose of BCG vaccine is 0.1mg in 1 ml though manufacturers of certain strains of BCG, i.e., Copenhagen 1331 recommend half dose in infants. The BCG vaccine is the only TB vaccine currently available. The BCG Vaccine is normally given to children, and is not normally given to adults.